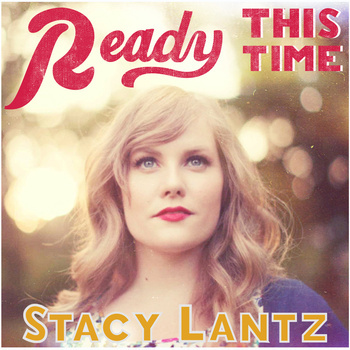 After guesting on several other artists’ albums, Nashville singer-songwriter Stacy Lantz assumes the spotlight on her sophomore release Ready This Time. This sparkling follow-up to 2010’s Patchwork Plains finds the Indiana native more than ready for her close-up. On a classy pop album that flirts with jazz and gospel, Lantz details a period of growth in relationships, from the tentative wonderment of a first meeting (“Keep It Simple”) to the exuberance of a blushing bride-to-be (the effervescent, finger-snapping “Happy”). While generally upbeat, Lantz’s songs are far from fluffy. Instead, she focuses on the crucial role resilience and intimacy play in maintaining successful relationships. Lantz’s direct lyrics push past love’s tangles and snares, effectively slicing through the thorny traps of bitterness and apathy. Lantz’s emphasis on the importance of nurturing relationships is reflected in the care taken with bringing her songs to life. Producer Andrew Osenga frames her beautifully, keeping Lantz’s strong, supple vocals at the forefront. The gifted supporting musicians provide an unwavering foundation on which Lantz’s words take root and flourish. The result is a recording that ably captures both the exhilaration and angst associated with love. On Ready This Time, Lantz winks at both the past and present. With its ease and wit, “Night Owl (Who Are You),” co-penned by Susan Benjay, sounds like a modern-day cousin to the standards of the Great American Songbook. Lantz’s playful, jazzy inflections lend charm to a feel-good number that’s also underlined with yearning. The inspiring bonus track “Love Is On The Other Side,” a collaboration with Osenga, is a blazing slice of pop-gospel reminiscent of Christian music star Natalie Grant. While Ready This Time includes several uplifting moments, a trio of particularly strong songs revolve around the concept of couples standing at emotional crossroads. On the plaintive title track, co-written with Osenga, the narrator pleads for honesty from a beau who’s cautiously guarding his heart. Even as she urges him to let go of his feelings, she maturely resolves to give her partner the space he needs. “I will hold the line/You can take your time love/I’ll make the most of mine,” she reassures, confident that he’ll reveal his feelings in time. Similarly, the gorgeous “Say Anything,” co-written with Josh Pantana, also finds a narrator requesting her significant other’s trust so that they don’t lose one another. “Distance has a way of easin’ in/Beginning what now seems to be an end,” she softly warns. Breezy, yet full of substance, it’s one of the album’s undeniable highlights. Notable for both its eloquent compositions and expressive vocals, Ready This Time shows that Lantz’s time is now.